Our campus offers students the most comprehensive hands-on field training available. In addition to our classroom space we have a variety of training grounds and real-world equipment spread out among three campuses that are just a few miles apart.  SLTC is located in Trenton, Georgia approximately 20 miles (32 km) south of Chattanooga, Tennessee. We work with students to find affordable local housing options. Schedule an in person campus today today or take our 360 virtual tour any time online.